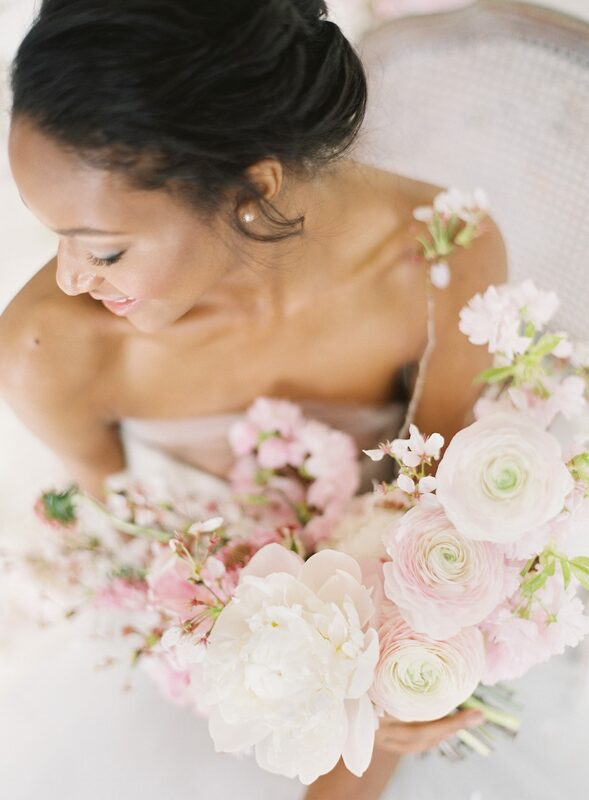 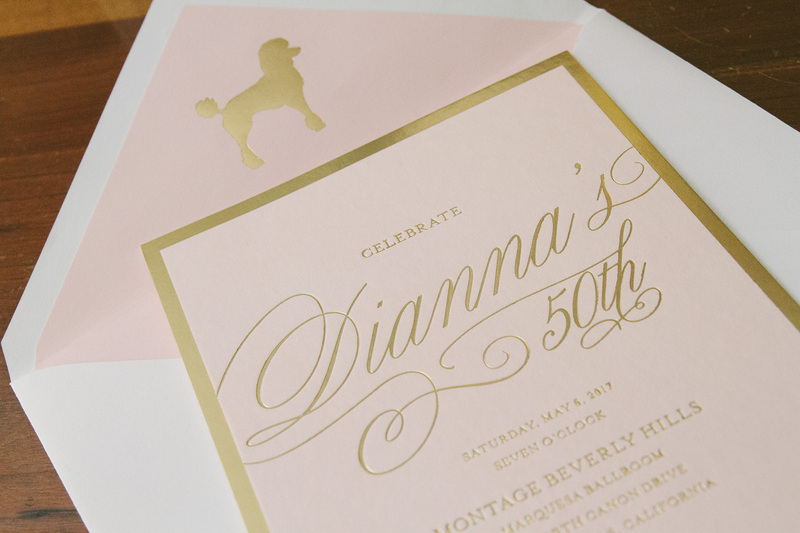 A 50th birthday often requires a grand celebration and Dianna’s big day was no exception to this. 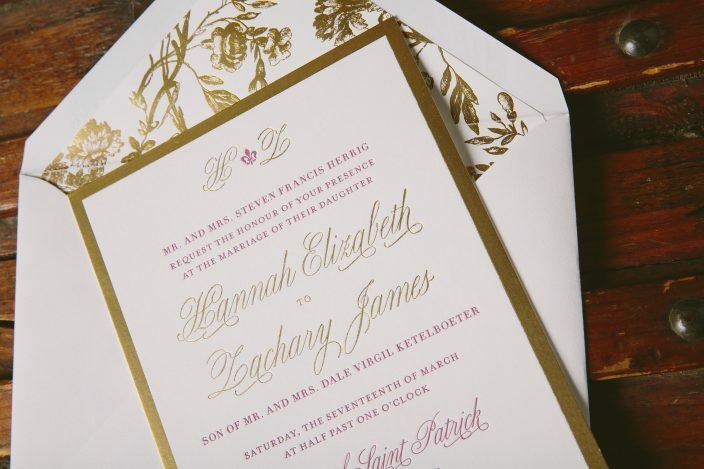 Her glamorous foil stamped invitation suite gave her guests a sneak peek into what was to come using our Avignon design. 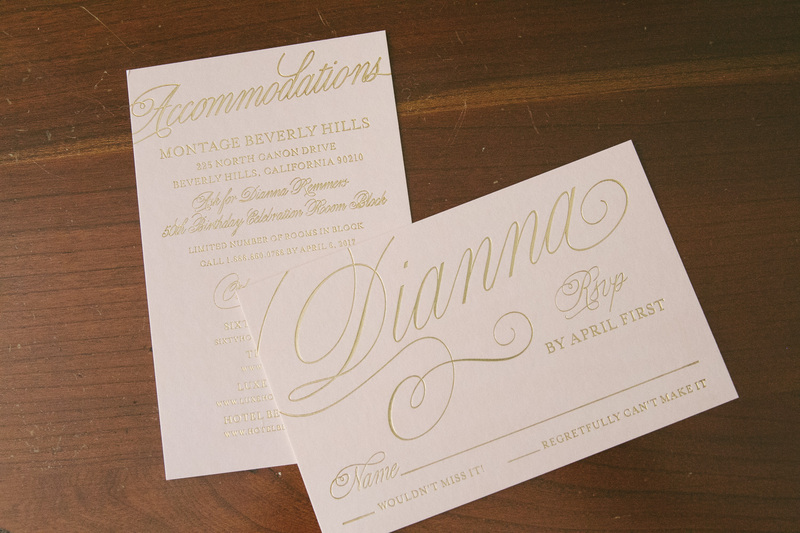 With Dianna’s name stretching across the card in an elegant script font, foil flourishes swirling as if they were about to float off the page, it’s evident that she is somebody worth celebrating. 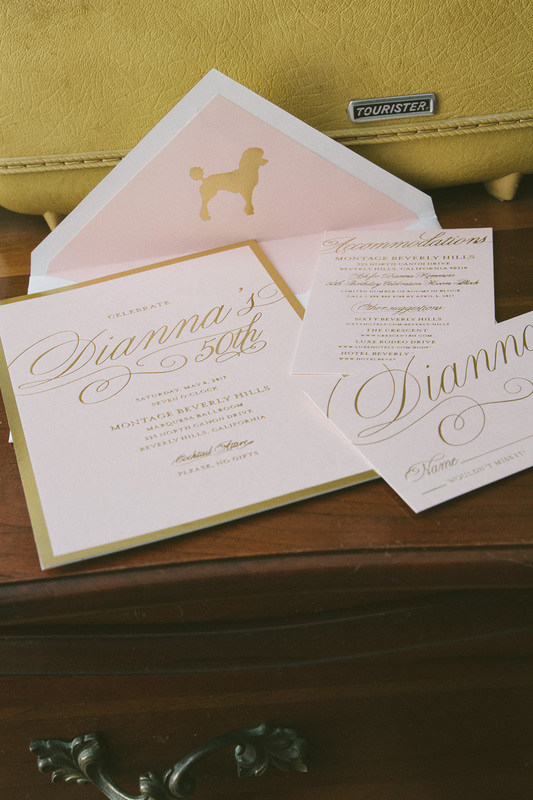 When guests open their invitation, they’ll be surprised to find a sweet poodle motif shining back at them in Gold Matte foil. 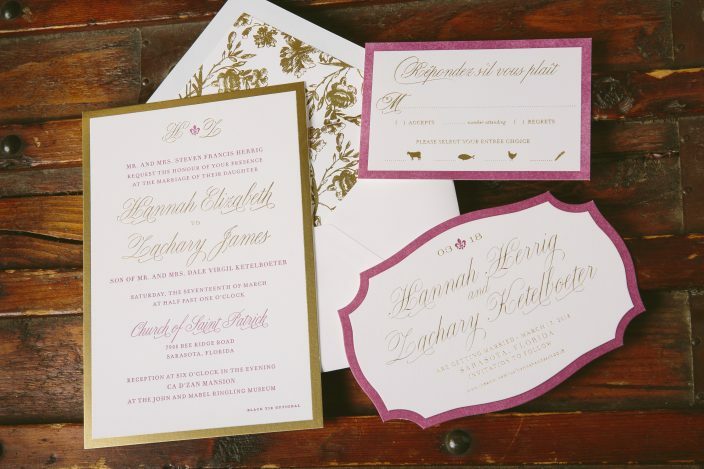 It was hard not to smile while working on this charming set with Uptowne Papers!